How do I return a digital resource? 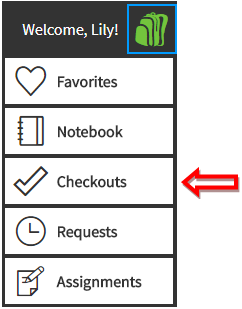 If you have finished a resource and want to return it early, log into your Backpack, click on the Backpack icon, and select Checkouts. Click the Return button next to the resource. What if I forget to return a resource? A resource will automatically be returned to the system when the return date arrives. No action is necessary. To view the return date for a resource, go to Checkouts.The return date is listed below the resource description.